This is a statement piece. 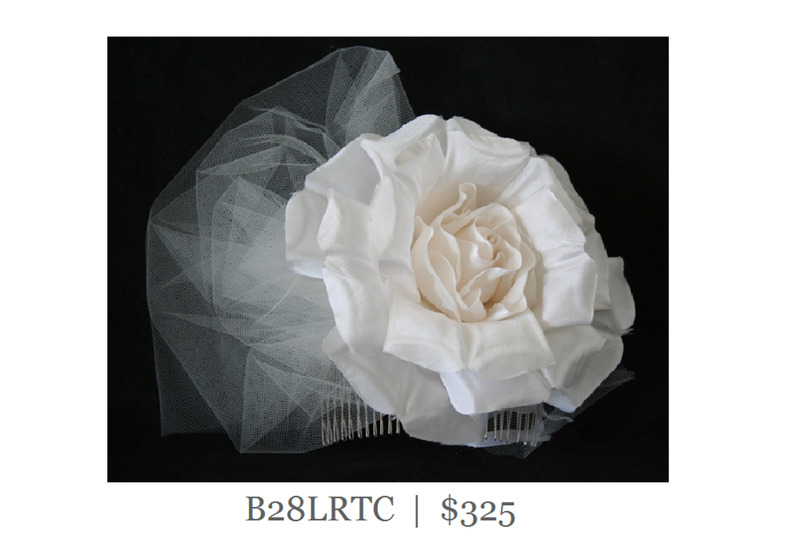 Gorgeous, White, 6" rose with 6 1/2" of gathered tulle as a side accent. Made on to a 28 toothed, silk wrapped wire comb. The comb measures 2" long and 4 1/2" wide. This beautiful piece would be stunning in a bridal Up Do.